Every winter my sisters, cousins, and high school friend plan a rollerskating trip. Normally I bring the boys and they stay at my brothers while we skate, but this year they stayed at home with Daddy. This allowed me a much needed weekend off; and, oh, how I loved every minute of it. After skating until our feet were good and blistered up, we made a quick stop at my Grandma Faye's for coffee and cinnamon rolls and conversation. Then we hit up the small town bar, where we closed the joint down and made quite obnoxious fools of ourselves. We ended our night at my mom's house, staying up till the crack of dawn talking and laughing. Admittedly, I feel a little poopy today, but it was worth every second of my time back home with my family. Participating in the St. Patty's Day spirit. Left: My mom and I. 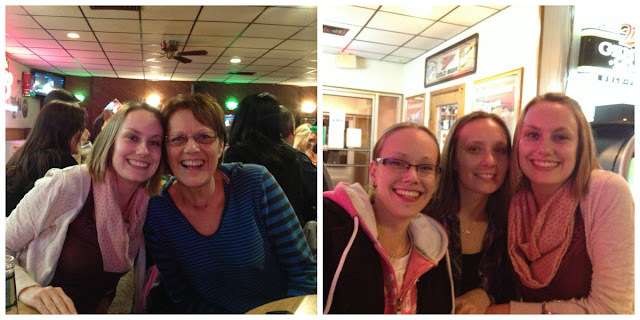 Right: My sisters, Sheila and Hope, and me. 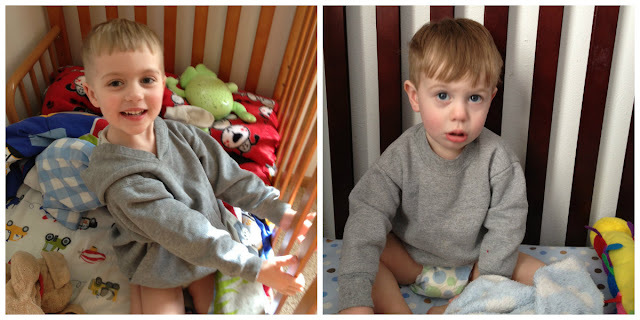 This week the boys and I spent the majority of our time hunkered down at home, attempting to will the snow to melt and the grass to turn green and the sun to warm the temperature. Since the weather had other plans--namely a bunch more snow--we did more Easter activities and embraced the extended winter outdoors. 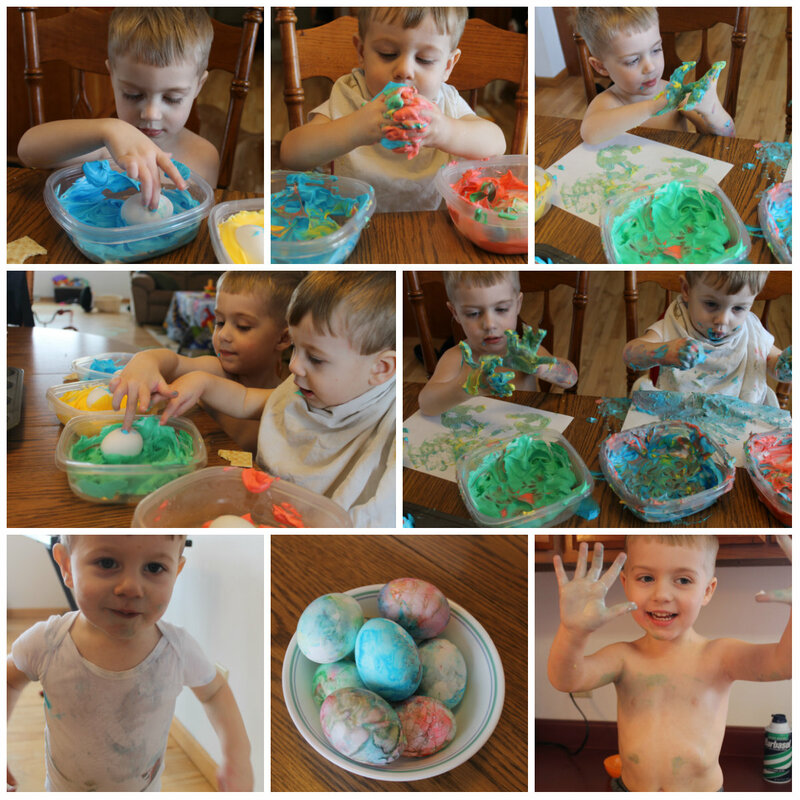 Dying Easter eggs using shaving cream and food coloring. 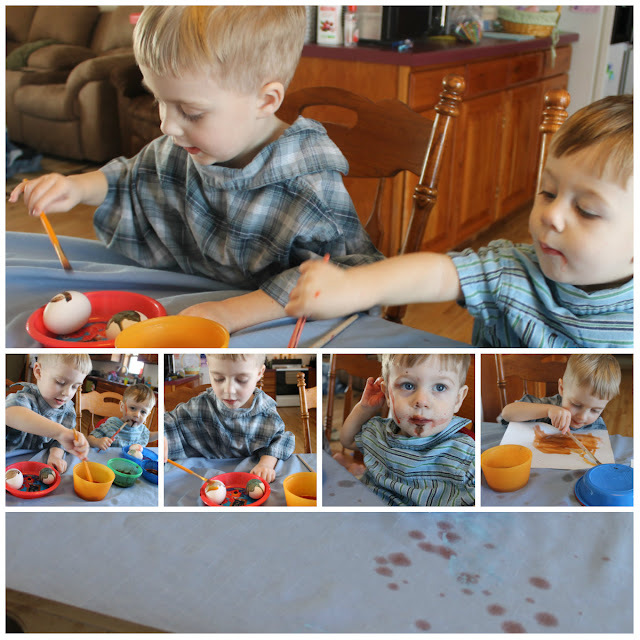 More Easter egg fun with Kool-Aid dye. We made Easter Bunnies with their feet and hand prints. It was a puzzle kind of week. Waking up to Daddy Saturday afternoon. 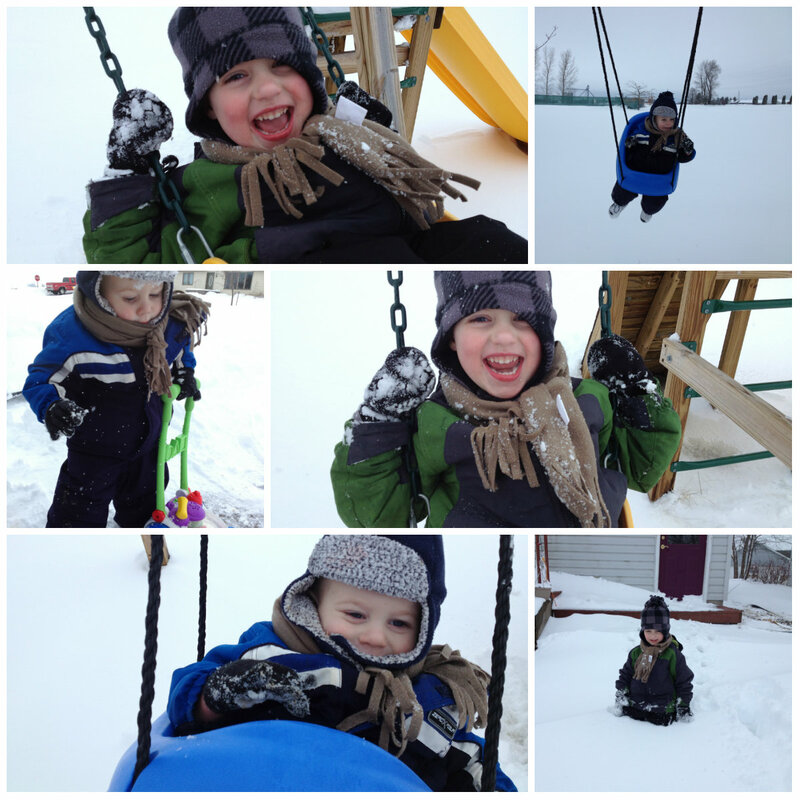 Who says swinging is just a summer past time? Top left: Some Mommy/Baby bonding time while Spenc naps. 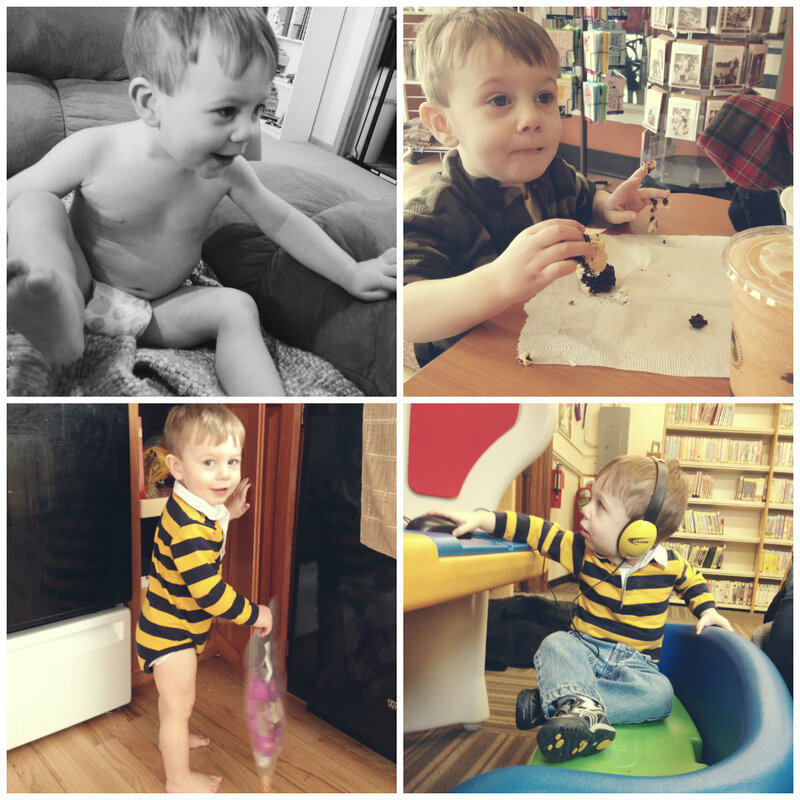 Top right: Mommy date while Spenc is at preschool. 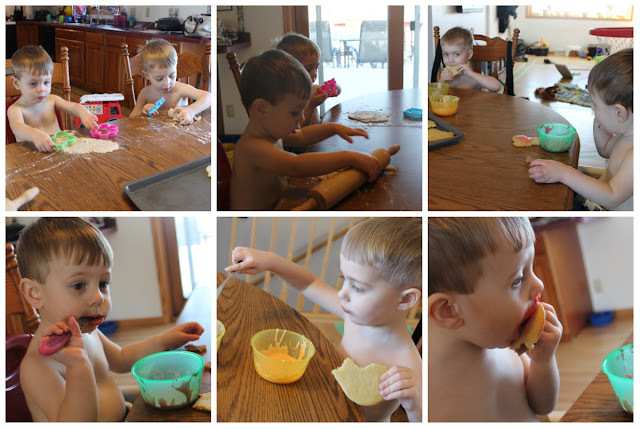 Bottom left: Mr. Sneaky trying to steal a snack from the Lazy Susan. Bottom right: Ashton didn't like the concept of sitting still during storytime at the library, so he made himself comfy at the computer instead.